1. "The mass of an ion liberated at an electrode is directly proportional to the quantity of electricity". charging or discharging are known as______materials. 31. The internal resistance of an alkali cell is nearly _____ times that of the lead-acid cell. 60. Following will happen if the specific gravity of electrolyte becomes more than 1.23. 73. If a lead-acid cell is discharged below 1.8 V the following will happen. 87. Ampere hour capacity of an industrial battery is based on ____ hours discharge rate. 91. A battery of 6 cells will show a drop of _____ volts from fully charged state to fully discharged state. 101. For a cell to work, which of the following condition(s) become necessary ? 113. 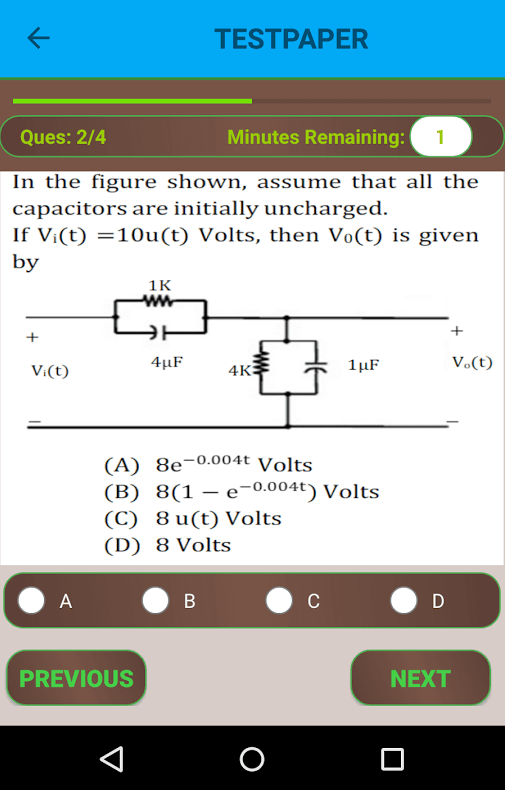 When the load resistance equals the generator resistance which of the following will be maximum ? 116. Which among the following constitutes the major load for an automobile battery ? 117. Which of the following factors adversely affects the capacity of the leadacid battery ?